Commercial, Domestic Building & Planning Romford RM | Quality Property Care Ltd.
Get your dream office or home, get in touch with our professional builders company at 020 3746 4287 and get our experts on the job. We work on weekdays for offices, weekends, domestic clients, landlords, tenants and property managers. All of our builders are certified and fully capable, with safety equipment, all the necessary certificates and special training to perform construction in the Greater London area. Use this service to re-tile or re-grout an area of your property. We work with a wide range of floor types, tiles and grout varieties. We can handle anything from mosaic tiles, to glass tiles, ceramic tiles, marble, quarry tiles and porcelain tiles. Quality Property Care Ltd. team is capable of tiling entire walls and floors, in which we include the installing of natural stone tiles, ceramic or porcelain, applying mosaic tiles, installing floor or wall tiles, installing borders as well as part-tiling walls. For grouting we work with tiles, we remove and replace old grout, the application of grout on both walls and floors as well as repairing grout cracks. To prolong the life of your porcelain tiles you can opt for the application of sealants which coat both the tiles and their grout. In this we include the sealing of tiles and grout, the application of seals to prevent grout stains, the application of waterproof sealants and re-sealing of old grout and tiles. Our tradesmen and builders are also capable of doing basic and intricate decoration and painting for offices and homes in the entire Romford RM area. We have different rates all depending on the size of the rooms, in general we can do single rooms, one bedroom flats, double rooms, bathroom, two bedrooms flats, kitchen, one bedroom house, three bedroom flats, radiator cover or gloss on radiator, bath panel, gloss on doors, cupboard door, gloss on window, three bedroom house, two bedroom house, four bedroom house, hallway single story, gloss on skirting, four bedroom flat, hallway two story including stairwell. To complete the tasks we use a variety of paints for a matt finish, flat matt finish, silk finish, soft sheen finish. Solvent based paints include eggshell, gloss, satin, high gloss. We also use specialty paints for kitchen or bathroom floor paint, painting, anti-mould paint, radiator paint, VOC free paint, metal paint and quite a lot more. To achieve good results that would be great to all clients, we take extra care to measure out the amount of rolls of wallpaper it would take. Carefully plaster any uneven spots & cut around corners, around doors, near window sills, around skirting board, light switches and power outlets. We generally do the wallpapering around internal and external corners, wallpapering around door frames, wallpapering behind radiators, wallpapering around window frames as well as staircase walls. Office refurbishment is a service suitable for property or office managers, corporate clients who are looking to improve or upgrade the floor plan of an office, generally improve a certain property and freshen up the space. For end of clients lease cases we can do repair and replacement of suspended ceilings, replacement of wall finishes, replacement of floor coverings, changes in the layout of the floor plan, which may require the removal and construction of new partition walls. 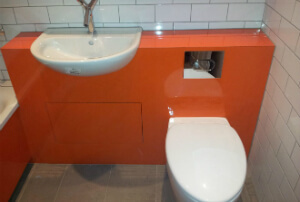 We can also do the reconfiguring of all kind of electrics and lighting around the house as well as the refurbishment or upgrading of washrooms or bathrooms and toilet cubicles. For existing premises we replace and repair suspended ceilings, upgrade conference and meeting facilities, re-do the flooring and decoration of different finishes and walls, as well as put in new office furniture. The perfect job is always the job you have specially designed and someone else, better and more skilful than you, has done. 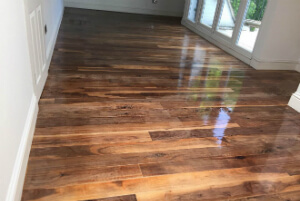 Our refurbishment & builders company Quality Property Care Ltd. in Romford RM hires only trained, well-prepared and educated technicians with special focus to the details and big motivation to reach the best results. All the workers are insured and vetted and your property or personal belongings are fully safe. Any customer can choose not to present during any renovation or refurbishment task. It is only a must for him to provide spare keys to the home or propery and a parking space for the van with all the necessary renovation kits and equipment. If you have the idea how to change and improve the property, let us realize it: fast, safely and on a budget! Rely on our refurbishment and builders services! Get a free quote now. Call us on 020 3746 4287 phone number right away! We will be glad to send technicians to you and fulfil your dreamed project!